Hope shines brightest when our world is darkest. This new edition ofJesus Today(r), the 2013 ECPA Christian Book of the Year, makes bestselling content available to enjoy in a beautiful, large leathersoft format. 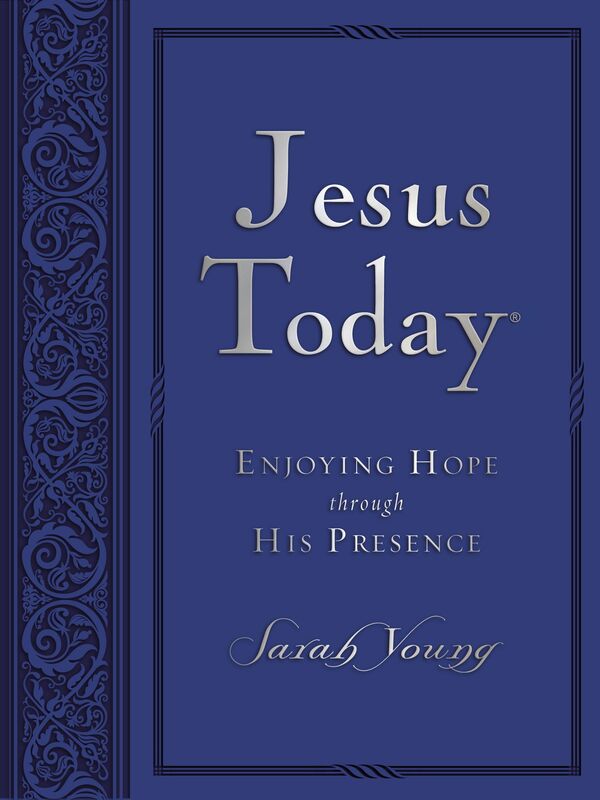 Jesus Today(r)was written during a very difficult time in Sarah Young's life. Yet the words of Scripture and Jesus' own Presence were ever near, bringing her hope and comfort for each new day. The theme of the book is hope. Hope shines brightest when our world is darkest. This book is for you if you are feeling insecure or anxious about the conditions around them; hopeless because of problems; helpless due to a lost job, home, or loved one; or who want to start the day with a fresh sense of encouragement. Jesus Today(r)includes 50 quotations about hope from the Bible and from respected Christian authors to provide a hope boost. Scripture index included. Now in a large format, with easy-to-read text and a beautiful leathersoft cover. Based on truths in Scripture, Jesus Today(r)is written as if Jesus Himself is assuring you that He is in control, that He is good, and that a glorious future awaits all who anchor their hope in Him." 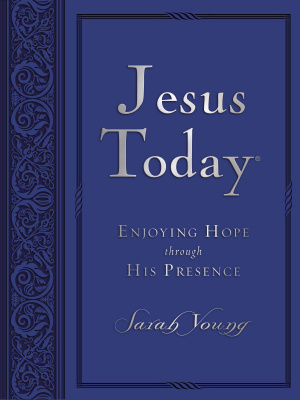 Jesus Today Large Deluxe by Sarah Young was published by Thomas Nelson Publishers in March 2016 and is our 50897th best seller. The ISBN for Jesus Today Large Deluxe is 9780718034696. Be the first to review Jesus Today Large Deluxe! Got a question? No problem! Just click here to ask us about Jesus Today Large Deluxe.